Welcome to the Finance Section of the website where you will find everything you need to know about how your council tax is spent, as well as details of the Council’s budgets and accounts, the assets it owns, fees and charges for services provided and much more. The Council is one of the largest Town Councils in the Country and spends around £2.5 million a year providing a range of important community services in the Great Aycliffe Parish. After deducting the Council Tax Support Grant received from the Government via Durham County Council and the income generated from fees charged for some of the services it provides, the Council’s net spending or ‘Precept’ is £1.411 million, and this is the amount of money that the Council requires from all of the households in the Town via the Council Tax to fund the services we provide. 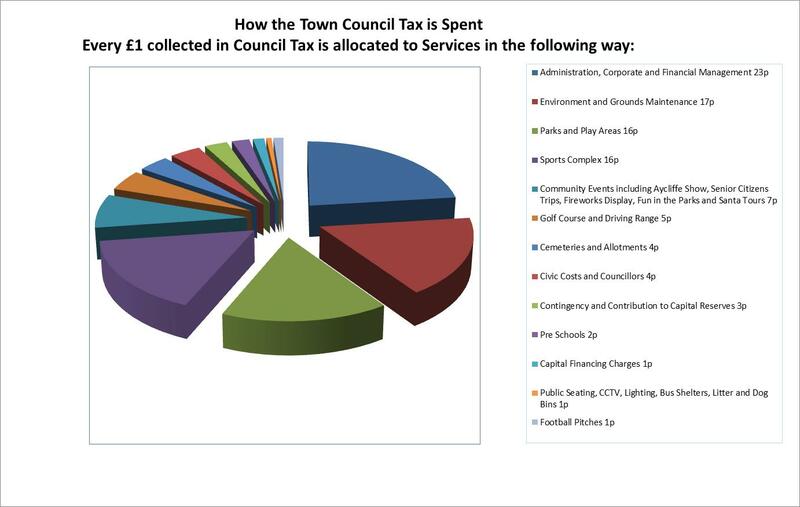 More detail on how money is allocated and spent on services is set out in the Council’s Budget and Accounts which are available to view via the links on the left hand side of the page.